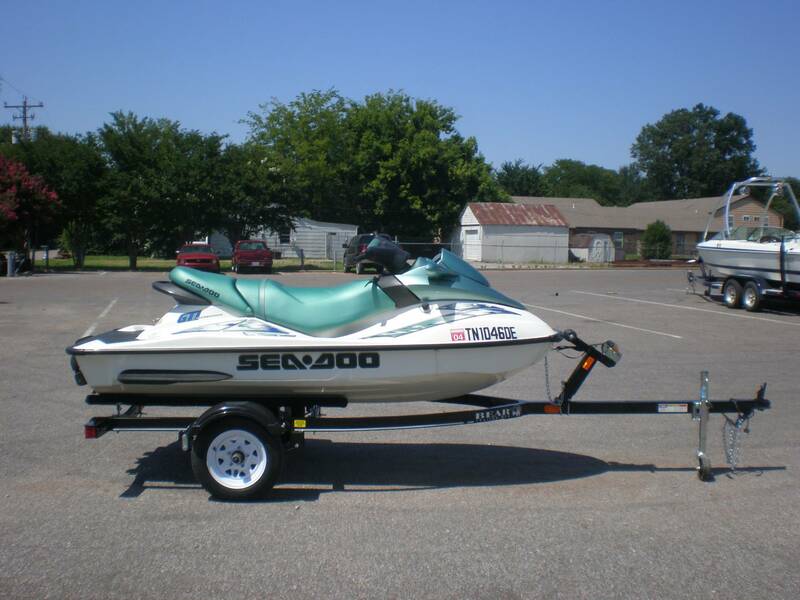 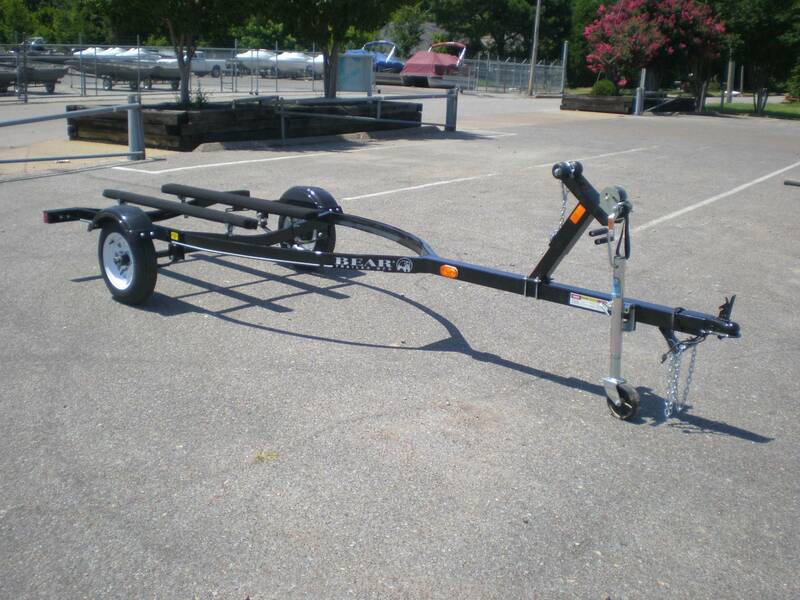 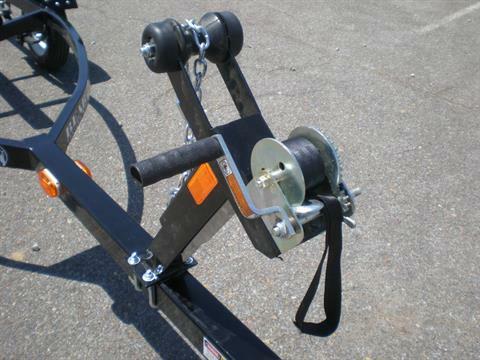 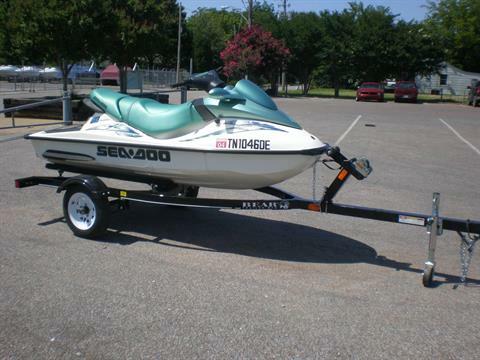 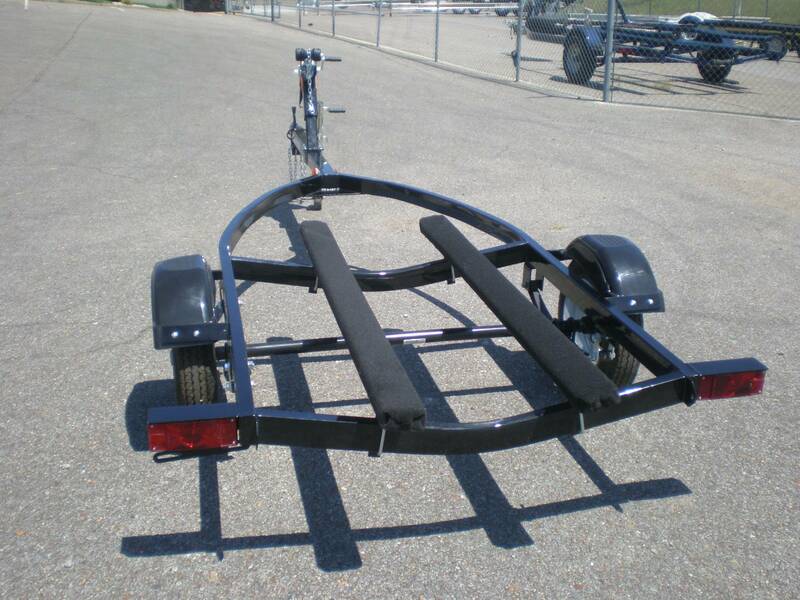 Super sturdy single PWC trailer - powder coated for long life and good looks! This PWC trailer weighs 280 Lbs and will carry a PWC up to 13’ long and 1700 lbs. Comes with adjustable bunks and winch stand, winch strap, safety chain for PWC, swing away tongue roller jack, 12" tires, Posi-lube hubs, and full running lights. 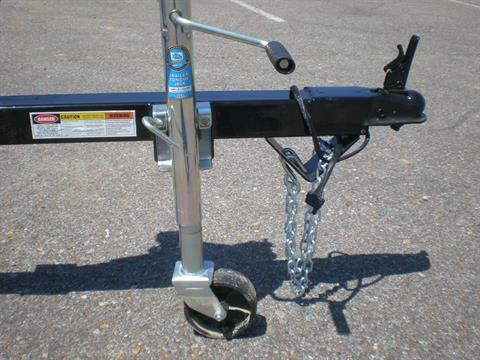 Four prong trailer connector, safety trailer chains, and 2" trailer ball coupler. 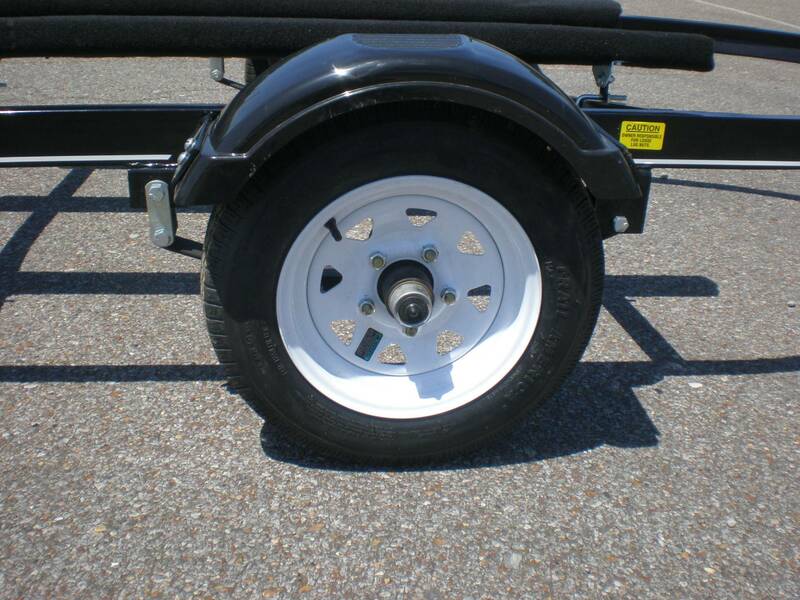 Powder coated painting process for long term durability. 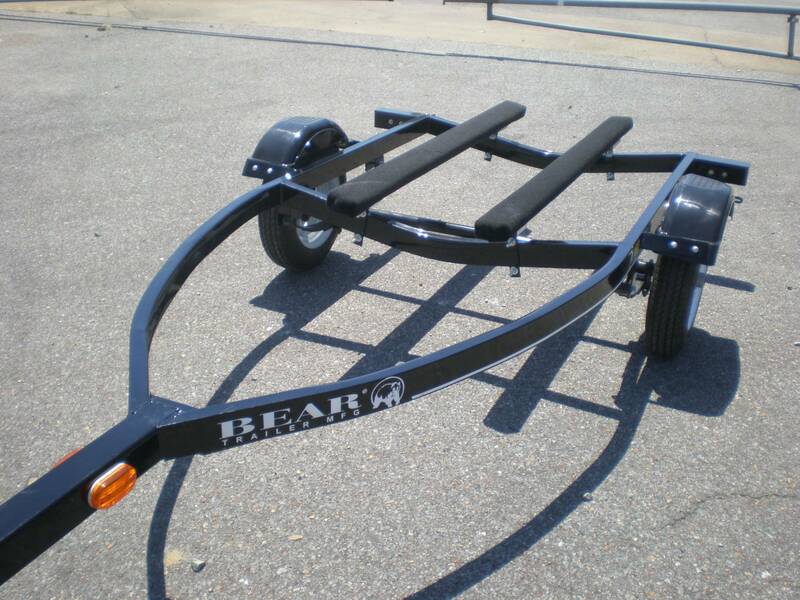 Color - Black.